Tagged under Monolith Soft, Toei Animation, Series, Games. The Xenosaga series is composed of three episodes where all the titles are named after the books of German philosopher Friedrich Nietzsche. The story mainly uses the science fiction theme but has frequent allusions to mythology. The Xenosaga world is composed of "columns" and hosts more species aside from humans - they have cyborgs, androids, and more. When wandering through Episode II's slick, sci-fi future, you'll still encounter enemies as entities visible on the screen. You can either attempt to avoid, engage, or ensnare them in a trap that you can activate nearby in some cases. You'll have to be ready to fight more often than not, as your foes are rarely parked with enough wiggle room to truly bypass them. Fortunately, the battle system has gone through some refinement, affording you a wide spread of options that you can use to fell even the most difficult of foes. A very good show and for some reason, I really do enjoy watching this. In short, if you like futuristic themes, with mechas, interesting characters, confusing yet enjoyable story and even nostalgia, then go for this one. 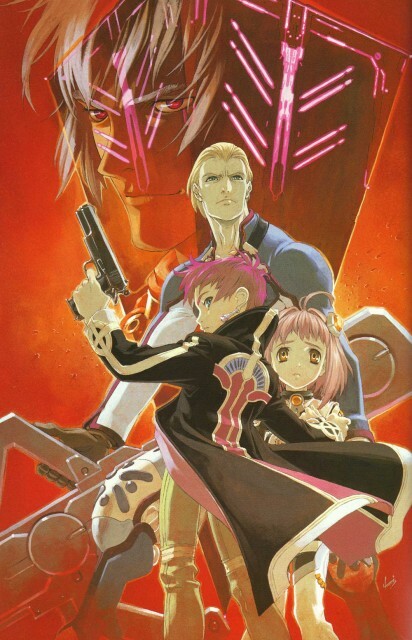 Also definitely recommendable to anyone that has played Xenosaga the video game.